Turn up the heat this summer by winning your way from one tournament series into the WSOP. 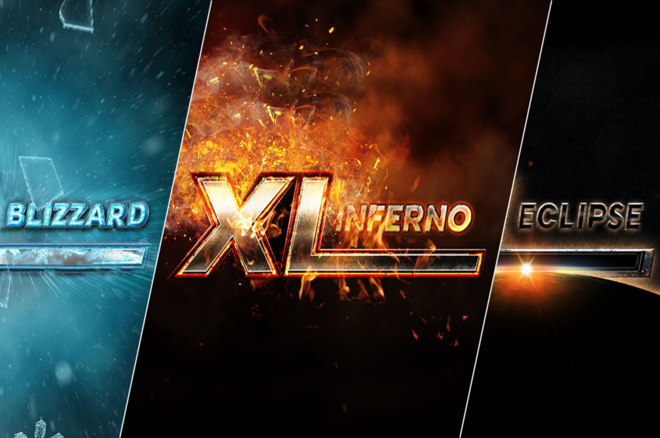 After a successful Super XL Series, 888poker recently announced its three XL Championships series, the first of which is the $7.5 million XL Inferno Championships May 7-21. The XL Inferno will kick off with 197 events, indicating the start of the three separate XL Championships series. The other series, the XL Eclipse and the XL Blizzard run in September and January 2018, respectively. 888poker expanded these championships to 14 days of action with an increased number of events and increased guaranteed prize pools. The Main Event in each series will offer a $1.5 million prize pool. In three of the tournaments within the XL Championships (an Inferno ‘Chip-in Super High Roller with a $5,200 buy-in, $109 Mini and $55 Turbo), 888poker will donate all the fees to a cause. Raising for Effective Giving (REG) is the 888poker partner that will donate the funds toward REG’s Global Poverty Charity Portfolio. Players who get first in any XL Inferno tournaments, get a ticket to the XL Inferno Champion of Champions event to compete for one of three packages. First place gets a package to the 2017 WSOP in Las Vegas, second place receives a Crazy 8s WSOP Side Event package, fourth and fifth receive $600 tournament tickets and sixth through 40th receive a $55 XL tournament ticket. Qualify for these events through the 888poker XL Inferno promotion and look into the tournament schedule here.